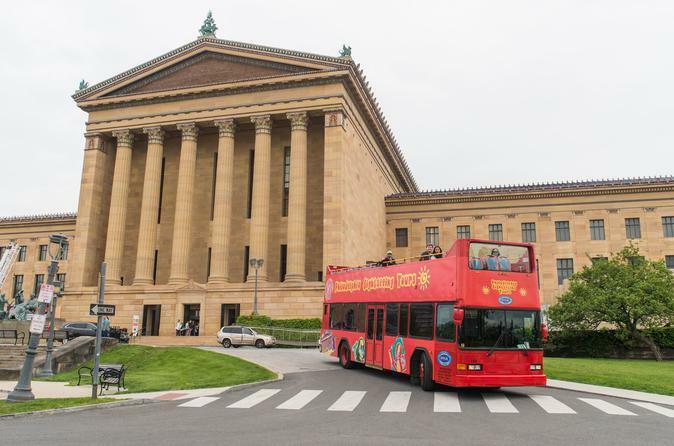 Board the open-top, double-decker bus at any of the 27 stops covering 16 miles of Philadelphia. Ride the full 1.5-hour loop with live commentary on board, and enjoy access to 100 of the city's most popular attractions and landmarks. Hop on and off as you please! Travel at your leisure with this valuable pass that allows to explore with added value of transportation throughout Downtown Philadelphia.